So, you’ve been texting all day, non-stop, just you and her. It’s been wonderful, every inch of you is craving her. Maybe it’s your wife, your girlfriend, or even that cute girl you met the other day and you can’t stop thinking about her beautiful smile. Now it’s time to say goodnight, but you have no idea what to say. In one sentence, you need to describe how amazing this long texting session was, while also making her feel like you want to continue talking when she wakes up. You also have to take into account how cheesy or clingy your text is, so you can’t overdo it. Confusing, am I right? So here, we’ve done all the dirty work for you! 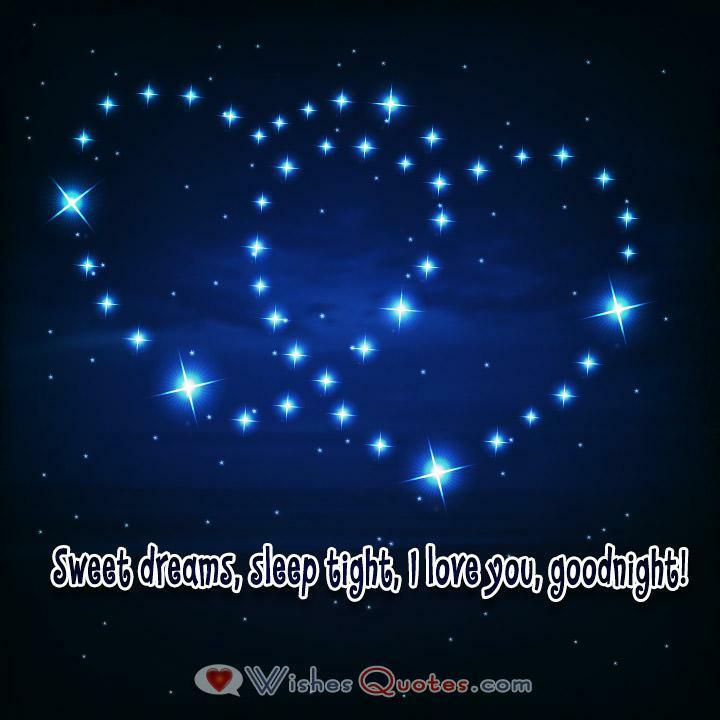 Here are some romantic good night messages that will be more than enough to give her a huge smile while thinking of you before going to bed. Tonight, I hope that you dream of us because I want all of your dreams to come true. Good night! Sleeping is the only way to make our time separated less dreadful, so let’s hope it will be daytime before we know it. Good night! They say that the moon is the only thing that protects us from the darkness of the night, but your smile shines brighter and is definitely more beautiful to look at. So I can’t wait for this night to pass so I can look at that smile again. Good night. The nights away from you are only worthwhile, when I am dreaming of the great moments we spend together during the day. Good night. I love you. The only thing that is more painful than not seeing your smile while we are separated, is not being there to hold you while falling asleep. Can’t wait to see you tomorrow. Good night. I hate good-nights because it means I am praising the time you spend away from me. What I want to truly say, is that I can’t wait to see you again. A text message cannot simply portray all the things I want to say to you right now, so I’m going to say nothing, sleep well, the rest is for when I see you when you wake up. Our bodies may be away for the night. But my soul will always be right next to you. For as long as we live. 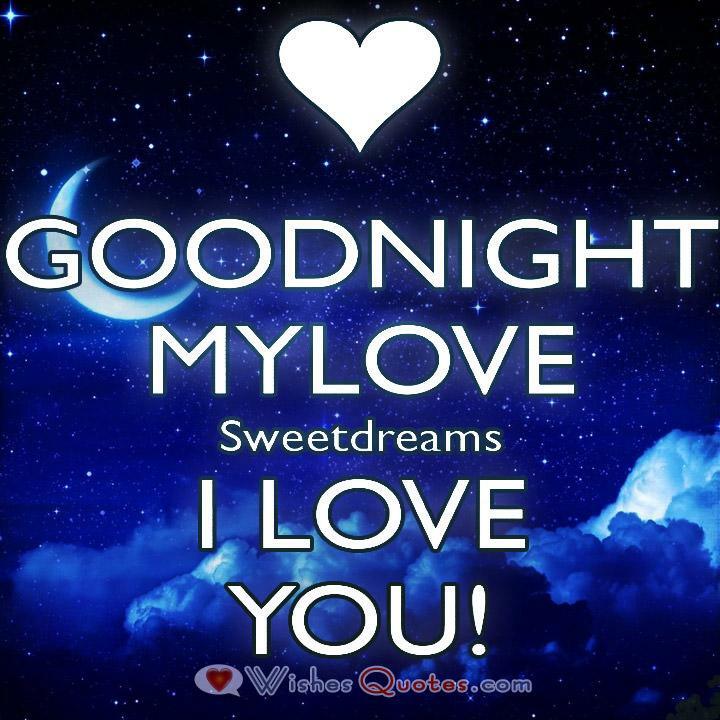 Good night, I love you. The only reason I want to go to sleep is that it is the only way to see you while you are not here because you are always in my dreams. So, good night, can’t wait to see you again! I’m having a hard time to understand how people can sleep alone at night, ever since I met you, sleeping on my own feels like I’m locked up in a cage made of bed sheets. Can’t wait for this night to pass so I can see you again. Good night. I promise myself every night, that tomorrow I will become an even better lover than I am today. And that is the only reason I can stand being away from you every night because I know that the next day will be better. Good night, and wait for the better things to come. If our love was a TV series, then the nights would be the “on the next episode” segment, because every night I dream of all the things I want to do with you when I wake up. Good night. Every time I fall asleep, I feel something missing, and that is you. So if the night is to come, then I want you to fall asleep fast, so we can meet in our dreams. Good night. Even if you were on the other side of the earth, every time I fall asleep, you are right next to me in my dreams. Good night. When the night gets cold, and your absence is making life around the house boring, I find refuge in my dreams, where you are always there waiting for me. So I can’t wait to see you tonight! Good night! Not being able to sleep beside you tonight makes me feel so lonely. All I can think of is the warmth of your body lying next to me. I have never slept in a bed that feels so cold before. Can’t wait to see you again. Good night. It hurts to see that you are not right here in my arms, safe from all harm. This night has found us separated, but no matter how far away your body is, nobody can stop our souls from being united in our dreams. Good night. It is said that you cannot tell time while you are dreaming, if that is true, then all the time I’ve spent with you has been a dream, because, I can’t tell how fast time passes. Good night. No matter how tired I am, I will never say good night until you do, because I’d hate you being alone and unable to sleep, while I am resting, unaware that my love is in a helpless boredom. So I’ll say good night, but only after you do. I’m not sure how many of the good nights I’ve said to you are real, and how many have been while I’m sleeping. Because talking to you is like a dream. So good night once again, can’t wait for this “dream” to continue tomorrow morning! Even if I counted all the stars in the sky, I couldn’t measure how much I miss you right now, laying on this empty bed without you. So I’ll say good night so sleep can make the time fly, so I can see you again. The night may only last for a few hours, but the dreams I have of you during it, last forever. Good night. Remember when you asked me what I dream of my future? I didn’t know what to answer at the time, but the answer is simple now. It’s you. And I truly hope, that tonight, you share the same dream as I do. Good night! 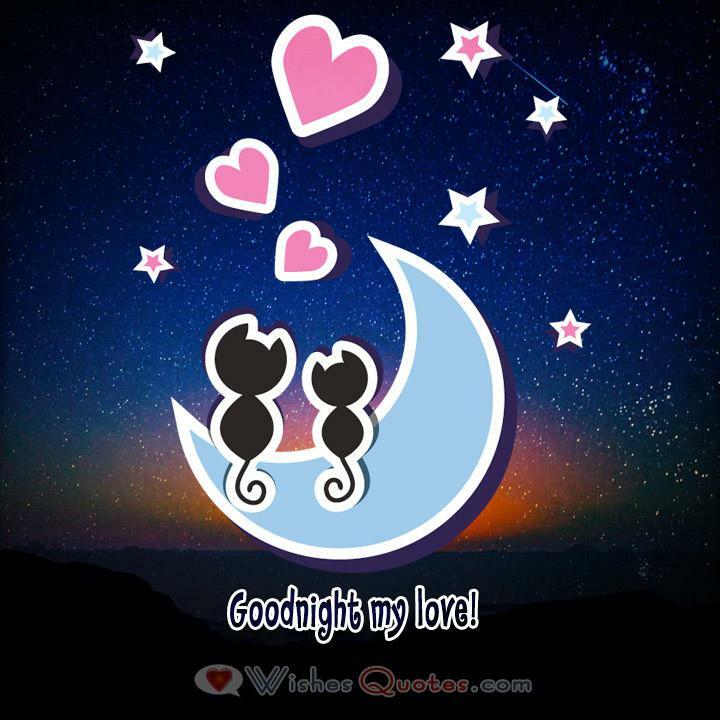 Falling asleep always makes me smile, because I know I’m going to wake up to talk with the person that caused it.